Quinnipiac was back on the road in ECAC play this past weekend losing in gut wrenching fashion on Friday night to Dartmouth in the final 10 seconds before tying Harvard 2-2 the next afternoon. The Bobcats played well enough to win against the Crimson but Harvard star Ryan Donato showed why he is probably the best player in college hockey with a game tying goal with less than three and half minutes left in the game. Quinnipiac now heads out to the desert next weekend for a pair of games against Arizona State. Let's take a look a how some of the future Bobcats did over the past week. Desi Burgart of the Surrey Eagles had a goal and an assist in Sunday's 7-0 win for the Surrey Eagles. In 38 games played, Burgart has 36 points (17 goals, 19 assists). Checkout this highlight reel goal by Burgart. He will be part of the 2018-2019 recruiting class. Michael Lombardi had one assist this weekend for the West Kelowna Warriors in two games played. In 41 games played this season, Lombardi has 27 points (12 goals, 15 assists). T.J. Friedmann picked up one assist in 3 games played this past week for the Victoria Grizzlies. The 1998 born center out of St. Louis, Missouri has 34 points (13 goals, 21 assists) in 43 games played. We recently had a Q&A with Friedmann. 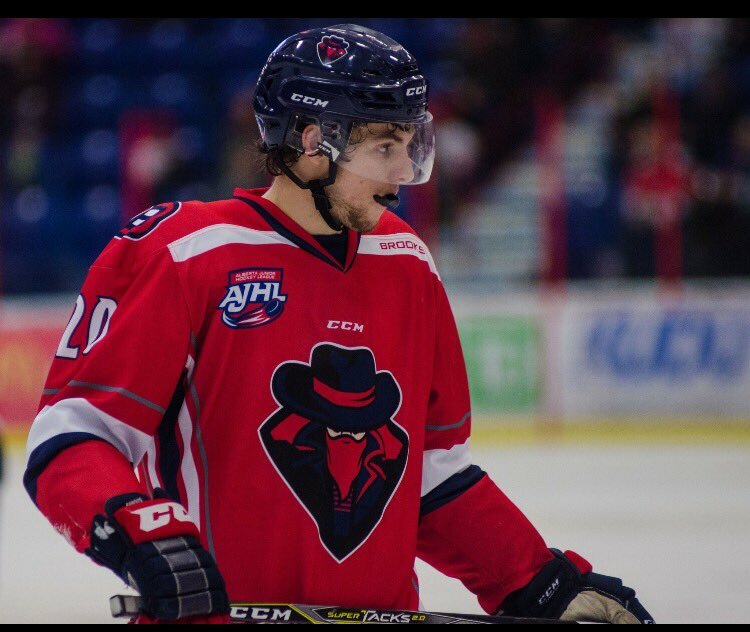 Matt Cassidy had a strong week for the Brooks Bandits with 5 points (3 goals, 2 assists) which includes a hat trick on January 9th. In 35 games played this season, Cassidy has 32 points (14 goals, 18 assists) and is for 5th on the team in scoring. Wyatt Bongiovanni has been out of the lineup for Muskegon due to a an undisclosed injury. Dom Fensore picked up 2 assists for the U-17 team in USHL action over the weekend. In 15 USHL games played, Fensore has 6 assists. In other game action this season for the NTDP he has 18 assists. He was also featured in the NY Hockey Journal in an article by Jeff Cox. Justin Robbins gave up 5 goals in 2 periods of action for the Chicago Steel against the Cedar Rapids Rough Riders. He was pulled after the second period and Chicago ended up winning 6-5 in a shootout. On the season he is 2-3 with a 4.63 goals against average and a .857 save percentage. 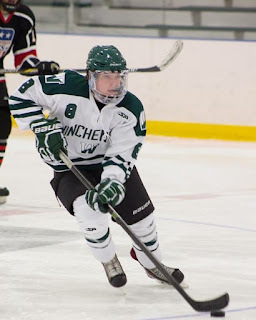 Matt Fawcett of the Winchendon School had a big week on the score-sheet. In 2 games played he had 3 goals, 4 assists as his team split a pair of games. He continues to lead all of New England Prep in scoring with 35 points (14 goals, 21 assists). He is averaging 2.50 points per game which also leads prep hockey. Peter Diliberatore had one assist this past week for the Salisbury School. He played two games but the box score is not in from the second game yet. In 11 games played this season, he has 9 points (1 goal, 8 assists). John Campomenosi had 2 goals for Don Bosco Prep in an 6-1 win over Morristown-Beard. On the season he has 13 points (4 goals, 9 assists). Gus Van Nes had 2 assists in one game played for the Junior Bruins this past week. The Netherlands born power forward has 45 points (13 goals, 32 assists) in 34 games played on the season. He will be the second ever Dutch born forward to play for Quinnipiac. This week he will take part in the NCDC all star game. Daniel Winslow had one assist in two games played for the New Jersey Hitmen as his team split a pair of games this past weekend. In 29 games played he has 25 points (9 goals, 16 assists). Victor Czerneckianair took part in the HPHL tournament this weekend for the Selects U-15 team. No box scores are yet available. Both Ethan Phillips and P.J. Fletcher took part in the U-16 part of the HPHL tournament but the box scores are also not yet available.